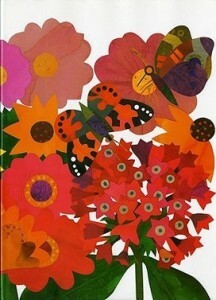 Based on the children’s book by Lois Ehlert, commissioned for the Cincinnati Pops Orchestra by John Morris Russell, conductor. Premiered April 2013. “The Cincinnati Pops Orchestra announces the release of its latest album, Carnival of the Animals, under the direction of Pops Conductor John Morris Russell. The recording marks the 93rd Pops recording in its history (adding to an abundant legacy including a Grammy-winner) and the third under Mr. Russell. Carnival of the Animals will appear on the Orchestra’s own label, Fanfare Cincinnati, and be distributed by Naxos. Featured on the recording is Mr. Russell‘s own orchestration of Camille Saint-Saëns’ classic Carnival of the Animals. 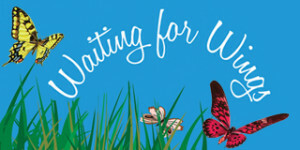 Another highlight of the disc is “Waiting for Wings,” a work (inspired by Lois Ehlert’s children’s book by the same name) by famed Broadway composers Georgia Stitt and Jason Robert Brown commissioned by the Pops and premiered at one of the Orchestra’s Lollipops Family Concerts in spring of 2013. Rounding out the track list are other animal-inspired classics like “Ballet of the Unhatched Chicks” and “Flight of the Bumblebee,” along with delightful animal sounds.” Read more from BROADWAYWORLD.COM. “Entitled “Waiting for Wings,” the concert had a featured insect, the butterfly, and a specially commissioned work, “Waiting for Wings,” in its world premiere. Composers Jason Robert Brown and Georgia Stitt, who attended the concert, were inspired by the children’s book of the same name by Lois Ehlert. The performance was accompanied by projections of illustrations from the book onto a screen above the stage and a reading of the text by Thayne Maynard, director of the Cincinnati Zoo and Botanical Garden. Brown and Stitt’s work came across as big and splashy, with lots of cinematic appeal. Scored for large orchestra, it is highly picturesque and makes inventive use of instrumental colors and textures. One could see the newly hatched butterflies coasting across the pages of Ehlert’s book in more ways than one.” Read more from MUSIC IN CINCINNATI!